Shallow reef corals can frequently be subjected to high doses of ultraviolet radiation [280–400 nm (UVR)] and have developed mechanisms to cope with this. Nevertheless, slight changes in this stressor may impact their physiology and ultimately their survival. Here, we present results on the effects of artificially enhanced UVR on the growth, reproduction, production of photosynthetic pigments and photoprotective compounds of the Caribbean shallow-water branching coral Porites furcata. Corals were randomly located in one of the three different treatments: normal photosynthetically active radiation (PAR) + UVR; normal PAR+ enhanced UVR; normal PAR+ depleted UVR. Growth rates were measured using the Alizarin red staining method, photosynthetic pigments as well as mycosporine-like amino acids (MAAs) were quantified through high-performance liquid chromatography, and fecundity was estimated after histological analyses. Growth and photosynthetic pigment concentration were negatively correlated with increased UVR, compared to controls exposed to normal UVR. A significant increase in MAAs was also found in colonies under enhanced UVR. Based on their respective concentrations, the primary mycosporine-glycine (λmax = 310 nm) and shinorine (λmax = 333 nm) are the main contributors to UVR absorption in this species, while the levels of the secondary MAA palythine (λmax = 320 nm) tripled toward the end of the 128 days of the experimental period. 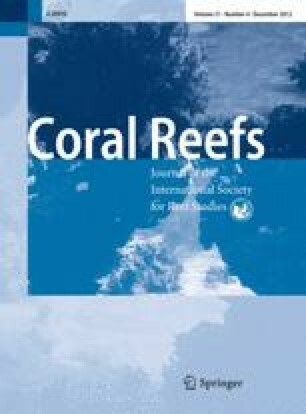 While several physical factors may influence reef coral physiology, the results suggest that slight increases in UVR can debilitate the skeletal constitution and severely reduce the fecundity of corals living in shallow waters. 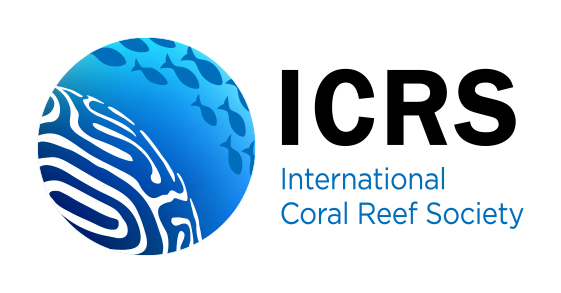 We would like to acknowledge the help and support from the Department of Marine Sciences, University of Puerto Rico. This research was supported by fellowships from the Alliance for Graduate Education Professoriate (AGEP) and from the National Science Foundation’s Puerto Rico Graduate Teaching Fellows in K-12 Education to the corresponding author, and a NASA grant (NCCW-0088) to RAA. We are grateful to the Puerto Rico Department of Natural and Environmental Resources particularly the Marine Fisheries Laboratory for facilitating their histology laboratory. This manuscript was greatly improved by the comments of two anonymous reviewers.